Years of investing in mobile instant gaming using HTML5 are paying off for Big Viking Games. We have received $21.75 million in funding so far to support our strategic initiatives, and we’re planning to raise $60 million more as we seek to partner with developers, publishers, agencies and brands to create the next generation of HTML5 experiences. 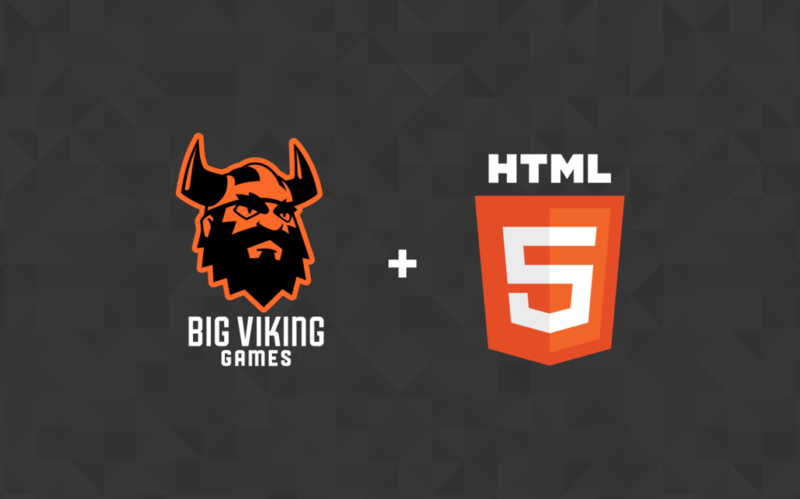 Big Viking Games’ focus on HTML5 stated way back in 2012. HTML5 is a development language used to present content on the Internet that is ideal for creating a unified experience across all mobile platforms and browsers. Big Viking Games has built an HTML5 engine that allows them to create instant games of the same calibre that can be downloaded from the App Store, but instead distributes them on the open web or through a myriad of distribution channels such as social networks and messengers. For five years, BVG has grown organically, without any venture capital or outside equity investment. BVG’s $21.75 million in funding has come from three large Canadian institutions. Royal Bank of Canada (RBC) has provided $18 million in financing in 2016, in partnership with Export Development Canada (EDC) to support our strategic initiatives. BDC Capital, Growth and Transition division also contributed $3.75 million in an earlier round that we’ve since been repaid with company profits. Now we’re looking to secure more financing to continue our success. The goal is to raise at least another $60 million dollars to continue to invest in HTML5 mobile instant games. We plan to use these funds to pursue acquisitions and to increase our production capabilities in order to bring our instant gaming engine to the masses. To help us achieve these goals, we’re seeking both possible partners and new, highly skilled Vikings. If you’re a developer, publisher, agency, or IP/Brand representative who is excited about the potential of mobile instant gaming via HTML5, please get in touch. If you’re a talented individual who’d like to join the Viking horde, we want to hear from you, so please visit our careers page. TORONTO and LONDON, ON – (November 2, 2016) – Big Viking Games, the largest independent mobile and social game studio in Canada and a pioneer in HTML5 mobile instant games, continues their company mission of making fans. The Company has secured a total of $21.75 million in funding from three large Canadian institutions to support its strategic initiatives. Royal Bank of Canada (RBC) has provided $18 million in financing in 2016 in partnership with Export Development Canada (EDC). BDC Capital, Growth and Transition division also contributed $3.75 million in an earlier round that has since been repaid with company profits. While Big Viking Games may fly under the radar for many, more than 50 million gamers have played their games such as YoWorld and Fish World. With more than 100 employees, Big Viking Games is the largest independent, self-published gaming company in the country. The investment in the future is already producing dividends. Big Viking Games enjoys high profitability with 55 per cent CAGR on revenues and 180 per cent on EBITDA since inception. The five-year old company has grown organically without any venture capital or outside equity investment to date. Now the company is ready and is looking to secure more financing to continue with its success. The goal is to raise at least another $60 million dollars to continue to invest in HTML5 mobile instant games so they can widen the gap between Big Viking Games and the competition. From funding acquisitions to increasing production capabilities in order to bring their instant gaming engine to the masses, Big Viking Games is ready to go even bigger. Lai is planning on adding more than 200 highly skilled jobs with the funds. Big Viking Games, founded in 2011, is the largest independent mobile and social game studio in Canada and a pioneer in mobile HTML5 instant games. The company has grown profitably to a team of more than 100 Vikings across two studios in Toronto and London, Ontario. From early hits such as Fish World and YoWorld, Big Viking Games has become a leader in live operations and a pioneer of what is possible with mobile HTML5 technologies to redefine the future of mobile entertainment. Their titles are played by millions of people on iOS, Android, Facebook and the mobile web.